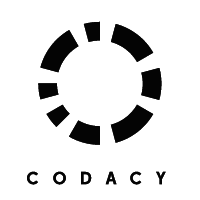 Codacy is an automated code review tool that allows developers to improve code quality and monitor technical debt. "Another great automated code-review services." Codacy had great git and github integration for projects and even user accounts, simple and really easy to use web interface with no clutter and informative. A great amount of programming language supported from PHP to Java. Open-source project friendly with free of charge usage for it and comprehensive amount of code patterns available. A lot of false positives since there some code pattern built only for certain framework or CMS, need more security oriented code pattern and analysis like DevSkim or maybe curated pattern from Codacy itself. If you had a open-source project lying around, try Codacy. It's free, easy to use for improving your code. If you are a small team Codacy also helps for reducing QA time wasted on code quality analysis and basic security analysis. I'm using Codacy as a tool for helping me build, grow and improve my open source project to the standards that others achieved. Codacy checks our scala code for dumb (and not-so-dumb) mistakes. The score, while it might not be perfect, is still an excellent indicator. The fact that it's a service makes it slightly harder to break our build with a Codacy score than I'd like with a self-contained tool. They only scan certain code types. Make sure your evaluation period exercises what they do. When you have problems, don't hesitate to engage the Codacy team. They're very helpful. We're looking for quality and speed. Codacy totally gives us both, with the safety of their service providing a good net as well as third-party evaluations. We simply don't release code that doesn't have an "A" score from Codacy. "Fantastic way to improve your codebase"
Codacy is fantastic! I absolutely love the UI/UX. The great amount of customizations around rules for code review. Great language support. Love the GitHub integrations with statuses. Still fairly new to the test coverage review feature. The price is a bit high in my opinion for brand new startups like mine that are bootstrapped. Would like to see a slightly more robust free tier. I would start off slow. First wire up Codacy with your code best for code review. And them as you get comfortable I would start using other features such as the test coverage stuff. Pushing higher quality code to production. Which, in term reduces the amount of bloat, bugs, and other issues we experience. Code review helps our programmers become more proficient as well. "Great tool to gain time"
They contact you to improve your workflow. as I said, save a lot of time for pull requests ! You can etablish some code rules (example with eslint). * We monitor all Codacy reviews to prevent fraudulent reviews and keep review quality high. We do not post reviews by company employees or direct competitors. Validated reviews require the user to submit a screenshot of the product containing their user ID, in order to verify a user is an actual user of the product. Hi there! Are you looking to implement a solution like Codacy?